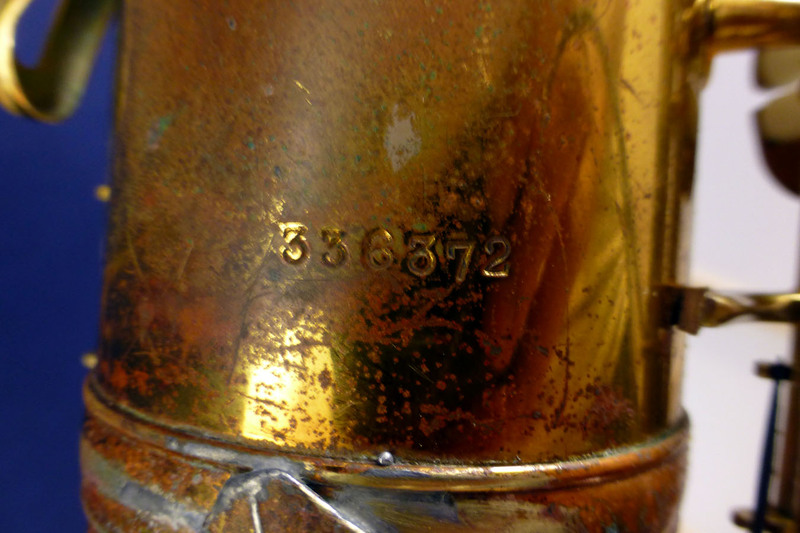 The lacquer is original, but by far not complete. 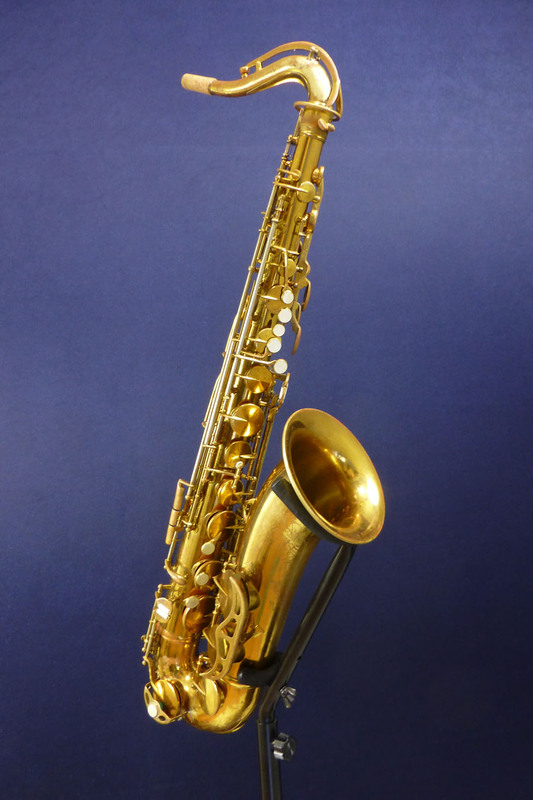 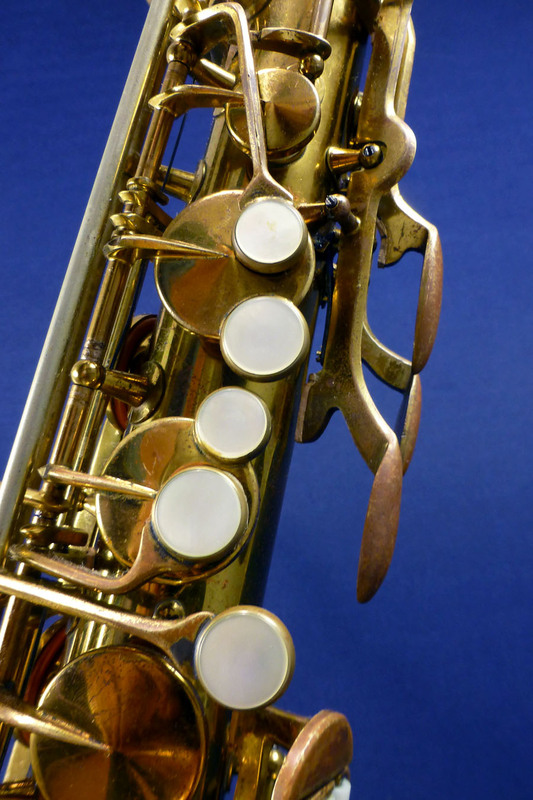 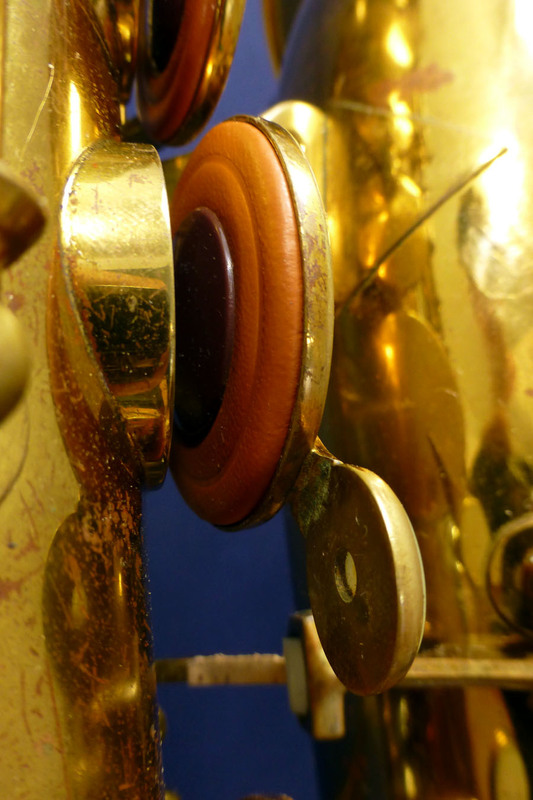 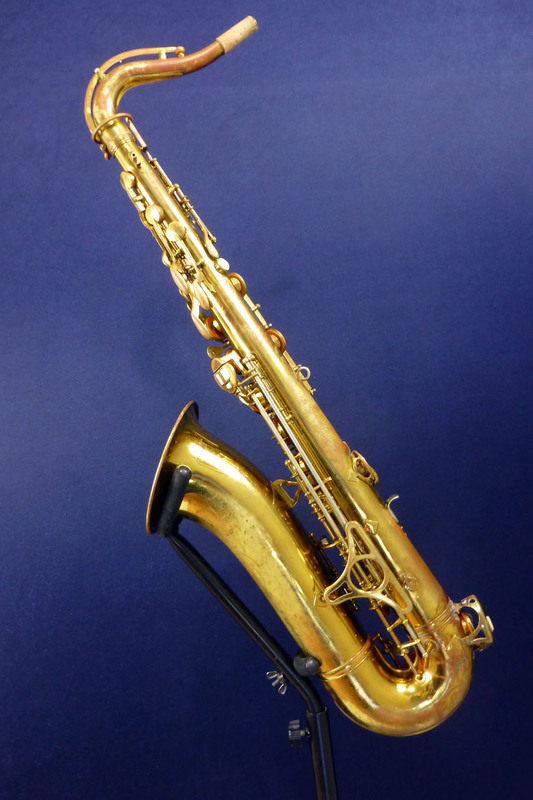 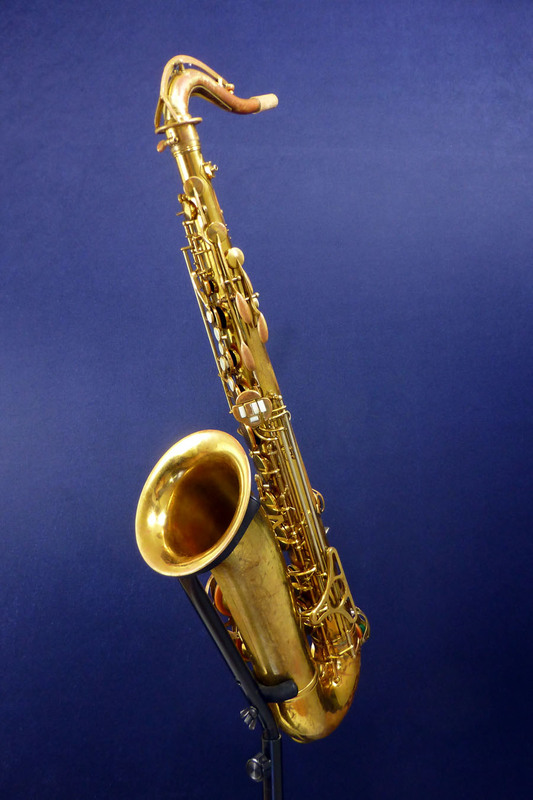 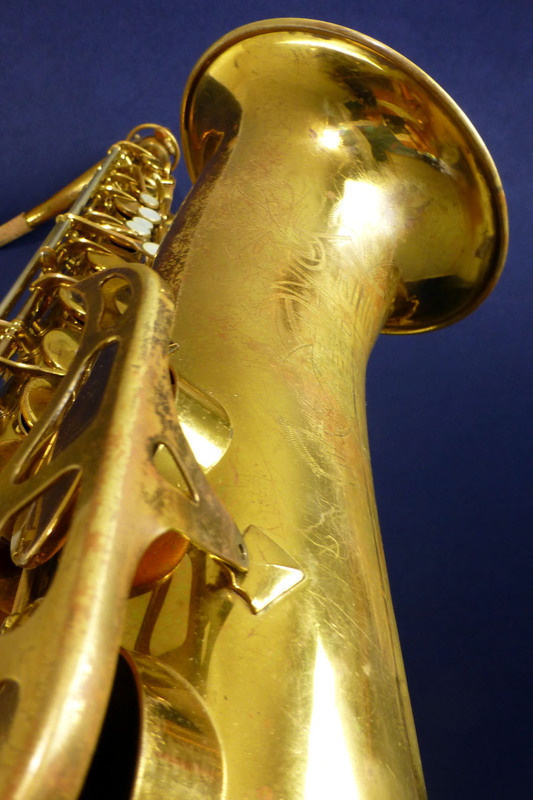 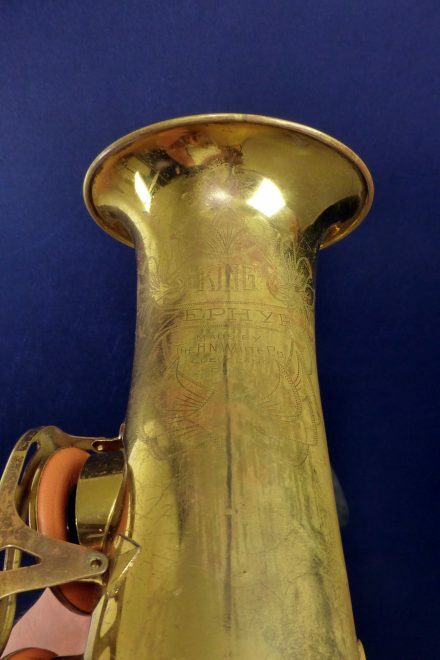 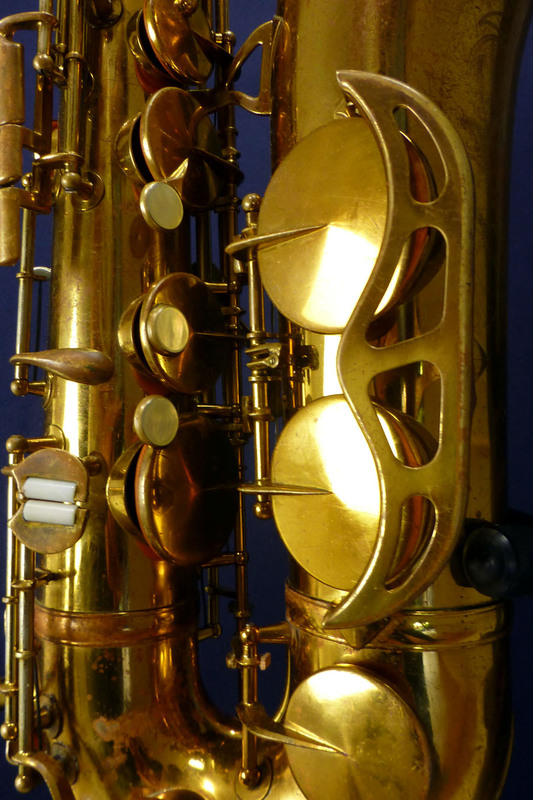 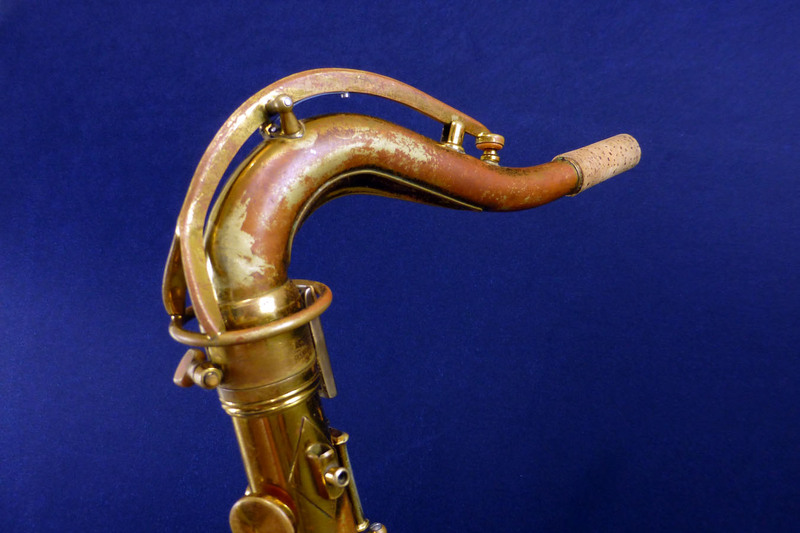 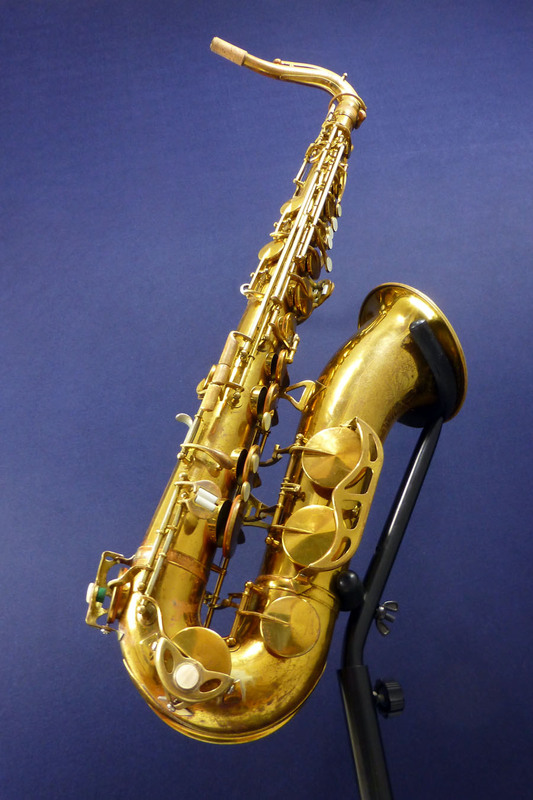 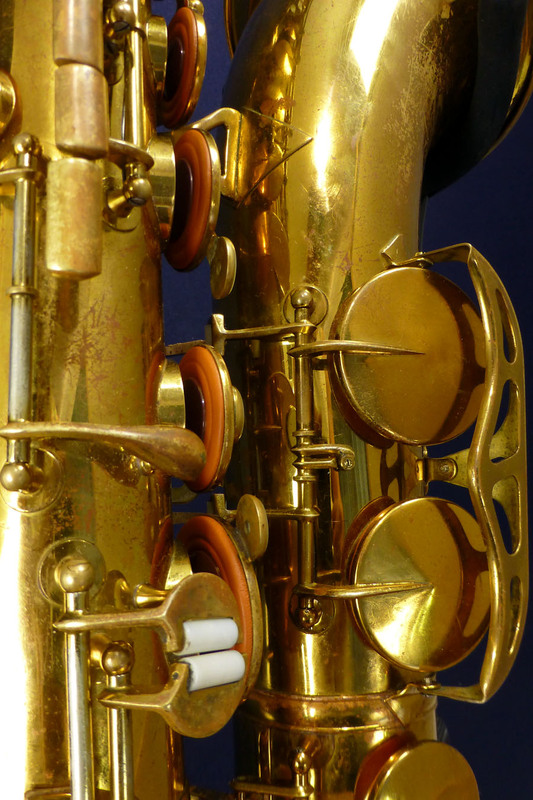 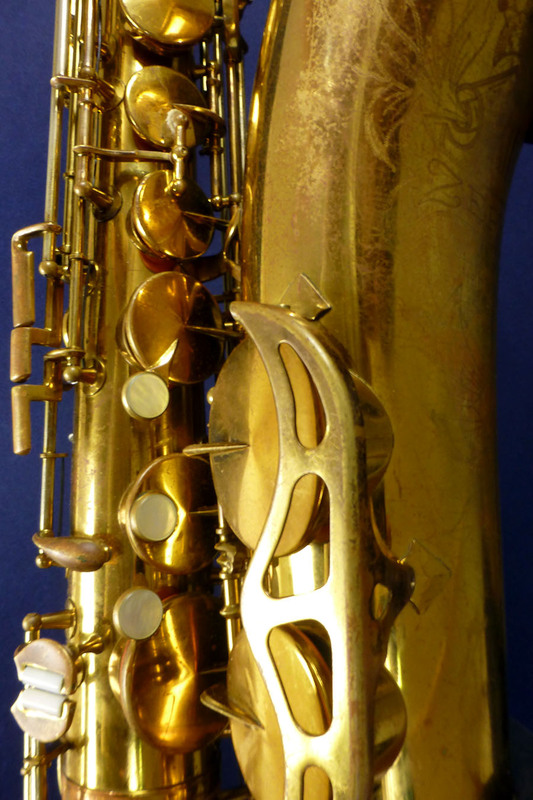 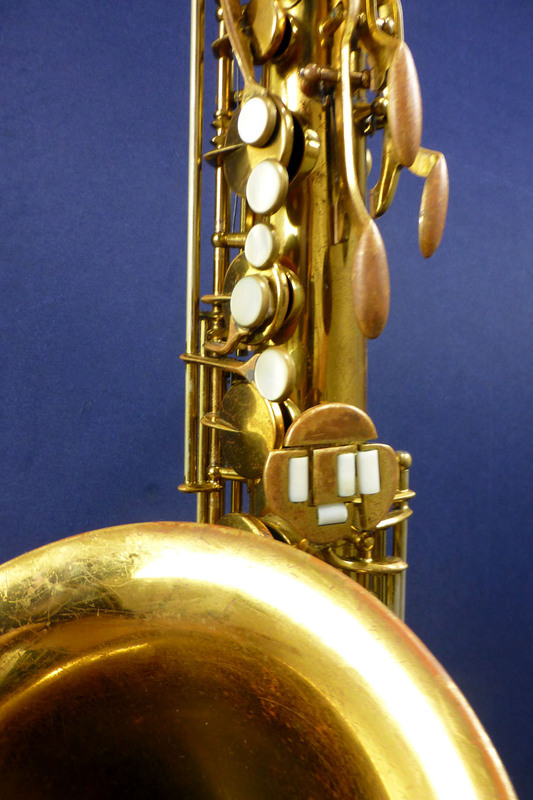 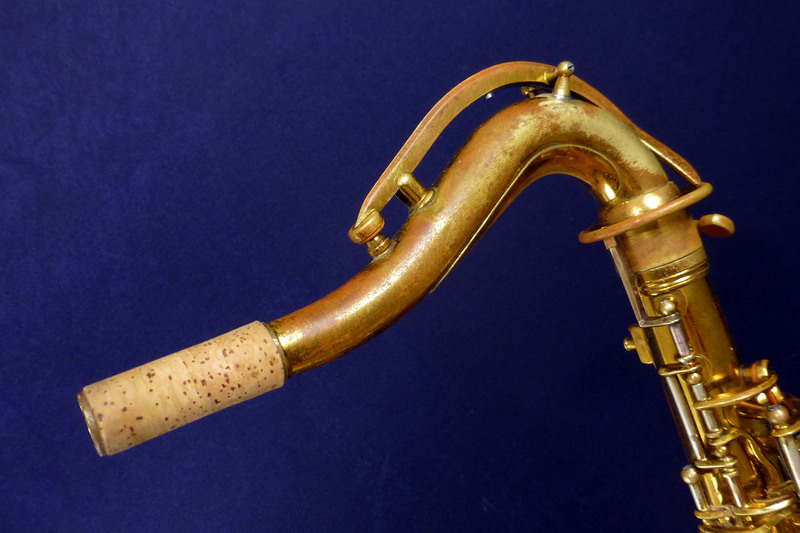 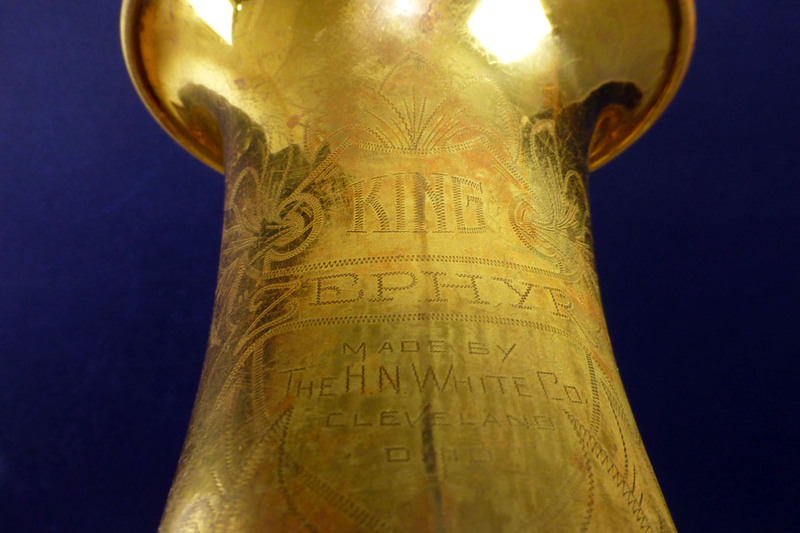 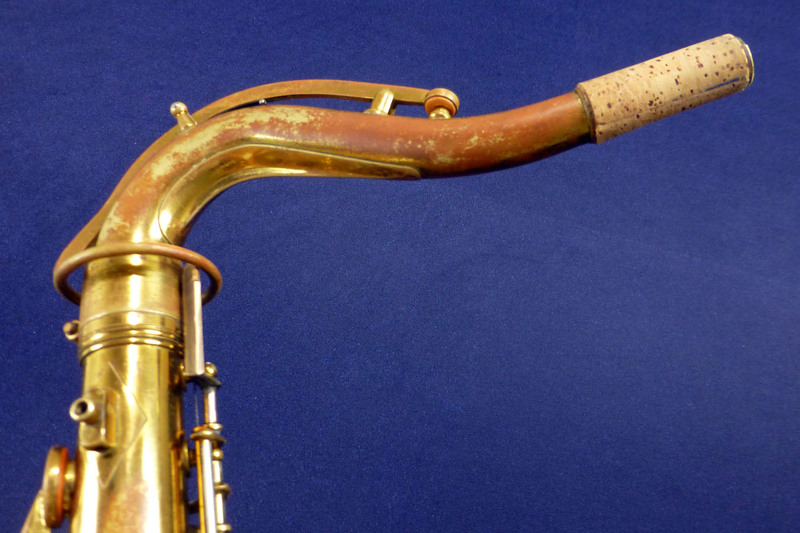 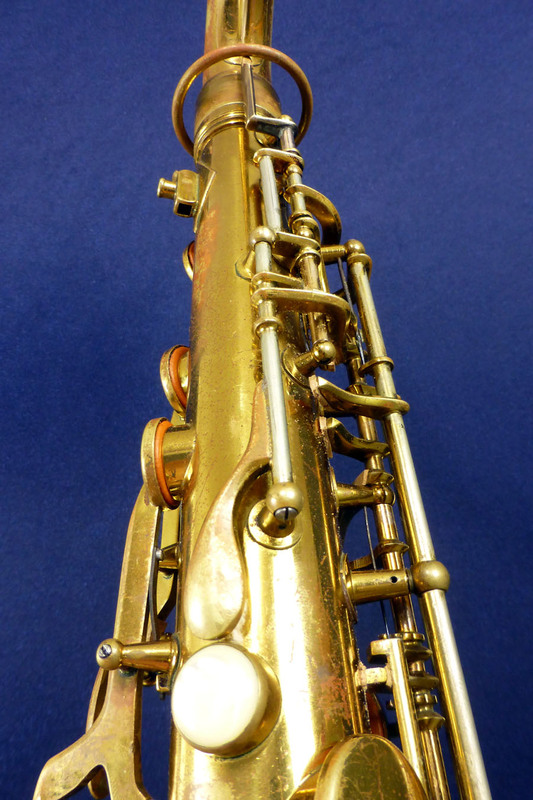 Still, this is a very healthy saxophone with that typical King sound: clear and powerfull. 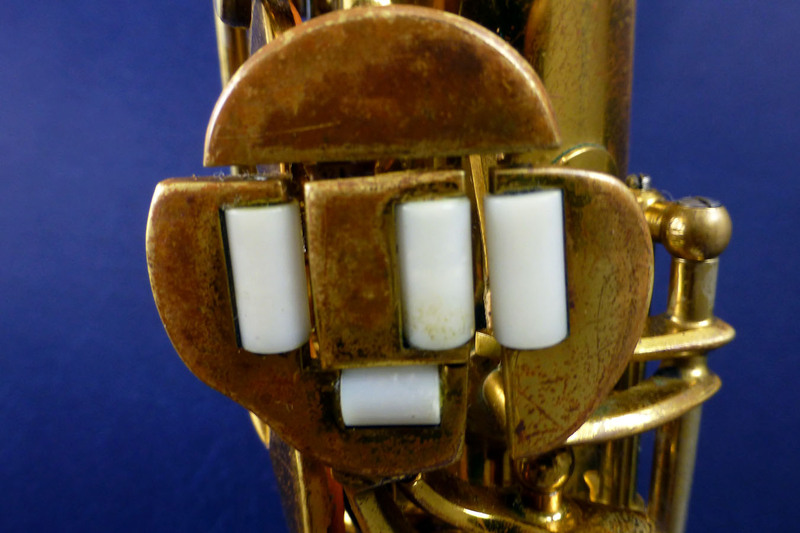 Nice horn!